A leading Irish environmental organisation has launched a legal challenge against the Irish Government for its failure to take action to avert the threat of climate change. 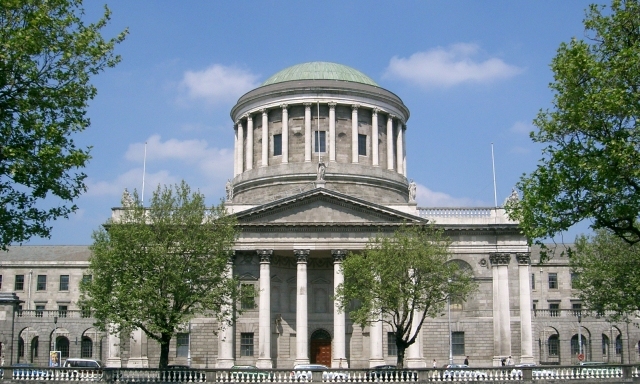 Friends of the Irish Environment (FiE) obtained permission from the High Court yesterday to proceed with its lawsuit against the Government of Ireland and Ireland’s Attorney General. The legal challenge claims that the National Mitigation Plan does not do enough to reduce Ireland’s greenhouse gas emissions and is a violation of Ireland’s Climate Act, the Irish Constitution, and human rights obligations. Ireland has the third-highest level of greenhouse gas emissions per capita in the EU and emissions are projected to increase further between now and 2020, and again by 2030. The Cork-based group also claims that the Plan falls short of the steps required to be taken by the Irish Government in order to meet our targets set out in the Paris Agreement on climate change. Tony Lowes of FIE said that the case was necessary as the Government continues to “refuse to take the necessary action” despite acknowledging the threat faced by climate change. Mr Lowes added that the case is not about his organization, but is “a case for everyone in Ireland, young and old”. “We’re hoping the case will capture imaginations here and abroad and galvanise a movement pushing for ambitious action,” he said. The challenge is inspired by climate change litigation taken across the world, including the Netherlands and the USA, according to FiE. In 2015, 900 Dutch citizens, together with Urgenda Foundation, filed a case against the Dutch Government for taking “insufficient action to keep them safe from dangerous climate change”. The District Court of The Hague ruled in June 2015 that the Dutch government is required to reduce its emissions by at least 25 per cent by the end of 2020 compared to 1990 levels, although the Dutch government has since appealed the verdict. Dutch lawyer Dennis van Berkel, who was the legal counsel to the Urgenda Foundation said that he expects the Irish courts to reach the same decision as in the Dutch case “given Ireland’s seriously inadequate climate policies and growing emissions”. “Governments all over the world, including in the US, Belgium, Switzerland, and New Zealand, are being held legally accountable for their inaction on climate change, and all eyes will now be on what unfolds in Ireland”, he added. Green Party leader Eamon Ryan TD welcomed the “very timely” case after the Government’s “attempts to water down ambitious climate action proposals” at last week’s European Council meeting. “There is a legal and moral obligation on the Government to address climate change. They must be held accountable,” he added. The Government now has three weeks to file its reply with the case expected to be heard in 2018.